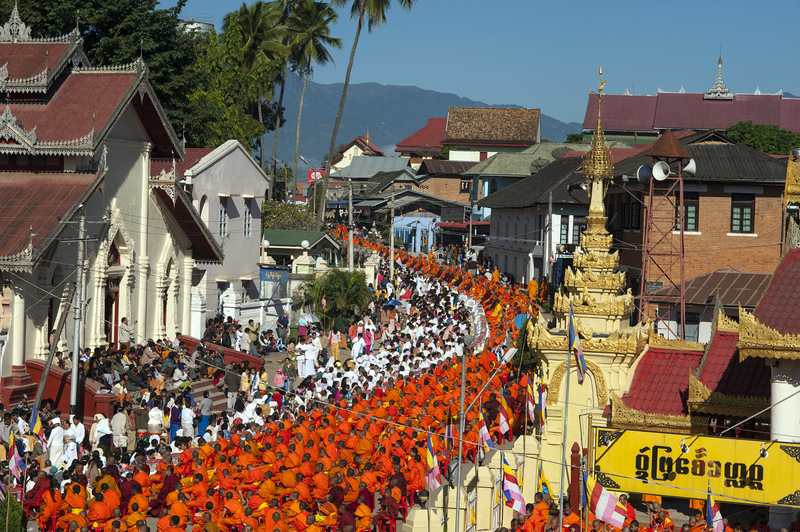 A sleepy Burmese town comes alive with color, when thousands of Thai and Burmese monks line the streets to meditate. 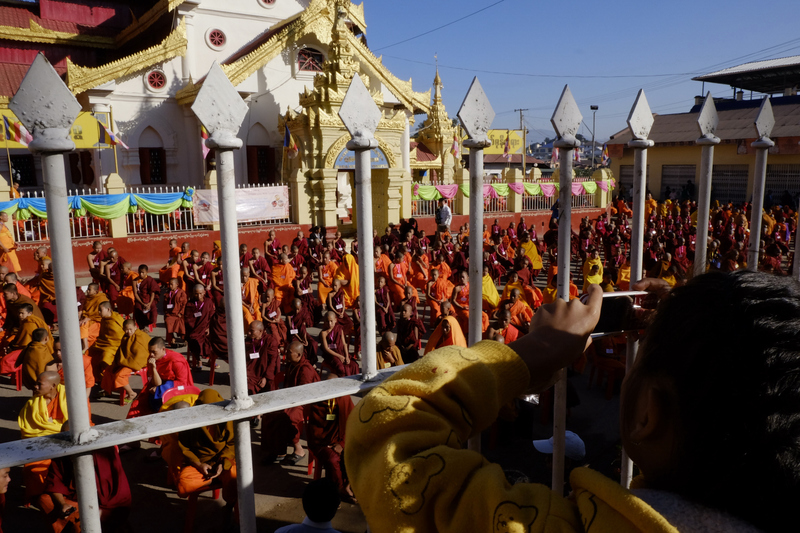 In the heartlands of the Golden Triangle a sleepy Myanmar town historically linked with Thailand came alive with color when thousands of local and Thai Buddhist monks lined its streets to meditate. 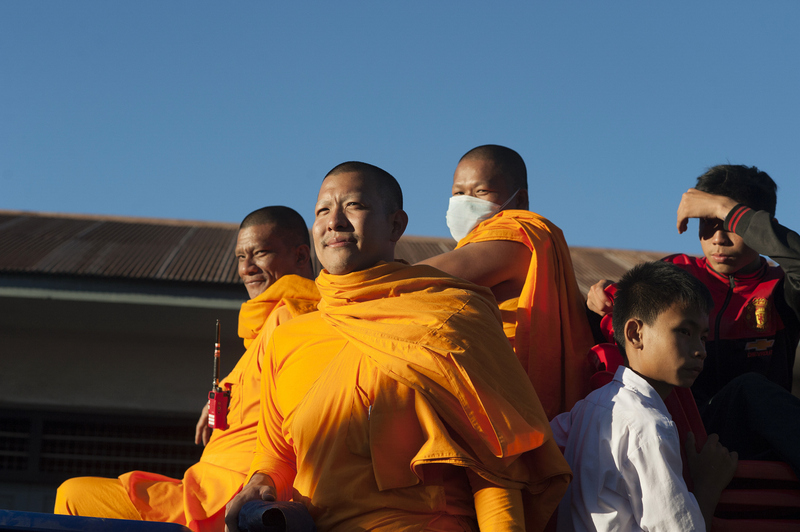 Wat Maha Myatmuni and the Thai Dhammakaya Foundation brought together over 3000 monks from about 350 temples. 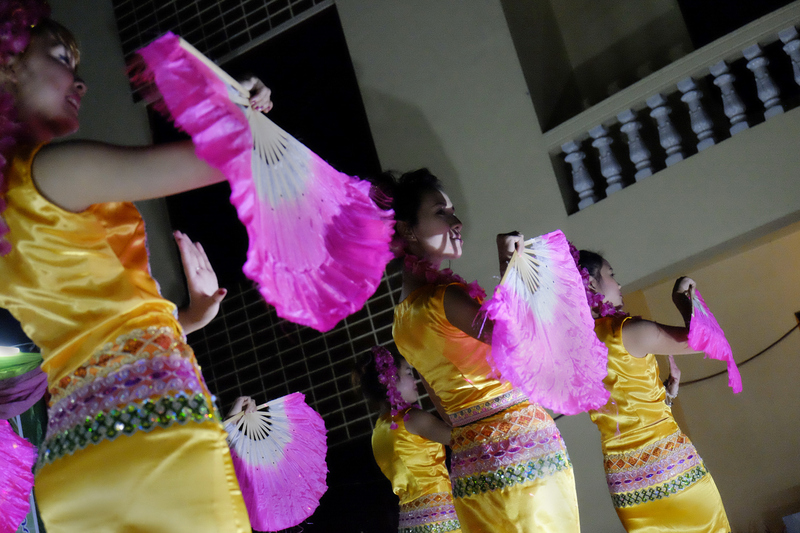 Once an important crossroads for trade between Siam and China, Kengtung in southern Shan State (also Kyaing Tong) shares a longer history with Northern Thai city Chiang Mai than it does with the rest of Myanmar. Lanna King Mengrai founded both places in the 13th century, which explains its many impressive ornate gold leafed Lanna-style wats (Buddhist temples) and a dialect close to that of Chiang Mai. 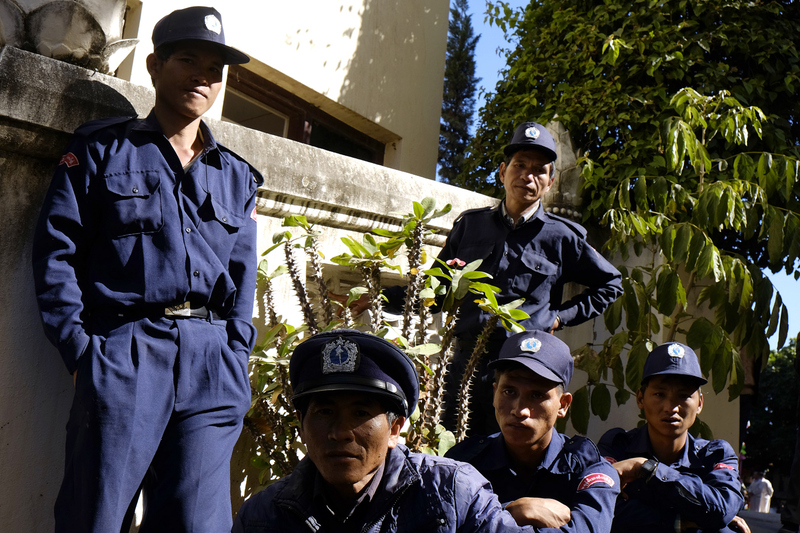 Most Kengtung monks belonging to the same order of wats as in Thailand wear orange robes, rather than the red seen elsewhere in Myanmar. 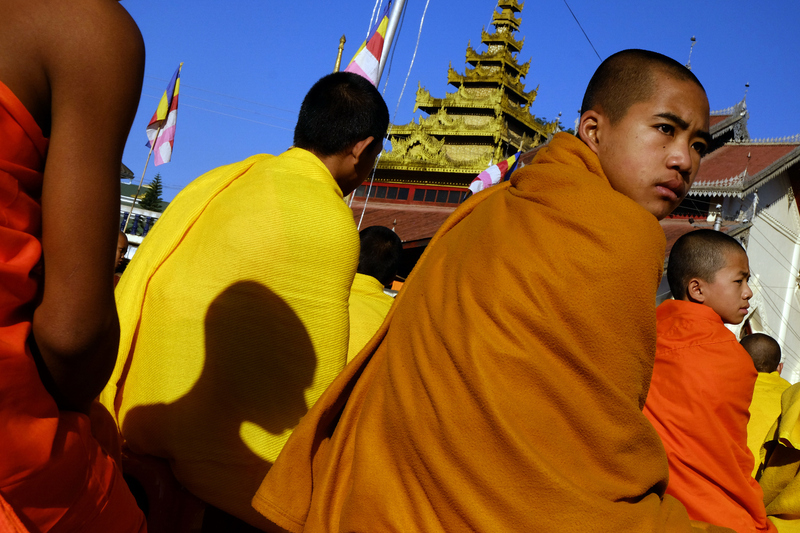 Most Kengtung monks wear orange and yellow robes as Thailand, not the red commonly used in the rest of Myanmar. Sharing centuries of history the majority of Kengtung's wats ( Buddhist temples) follow the same order practiced in Thailand. 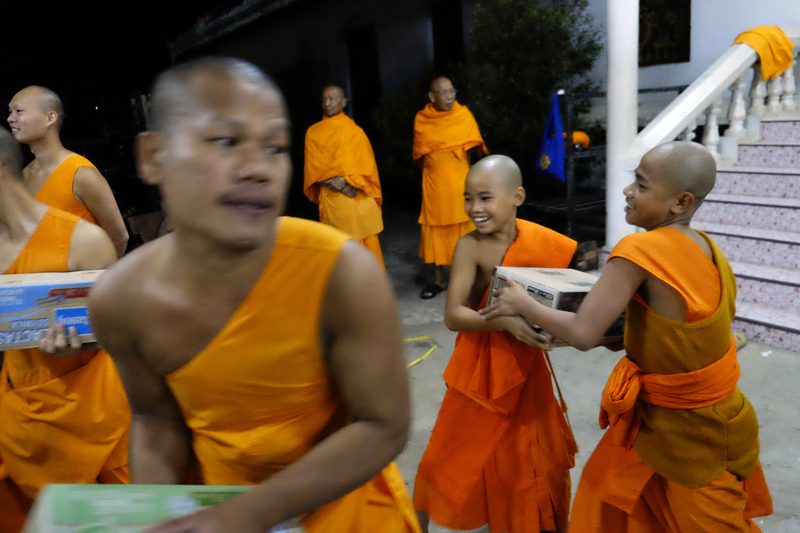 Truckloads of food sent from the Thai border for thousands of monks taking part in the mass meditation. A young girl photographs from above. 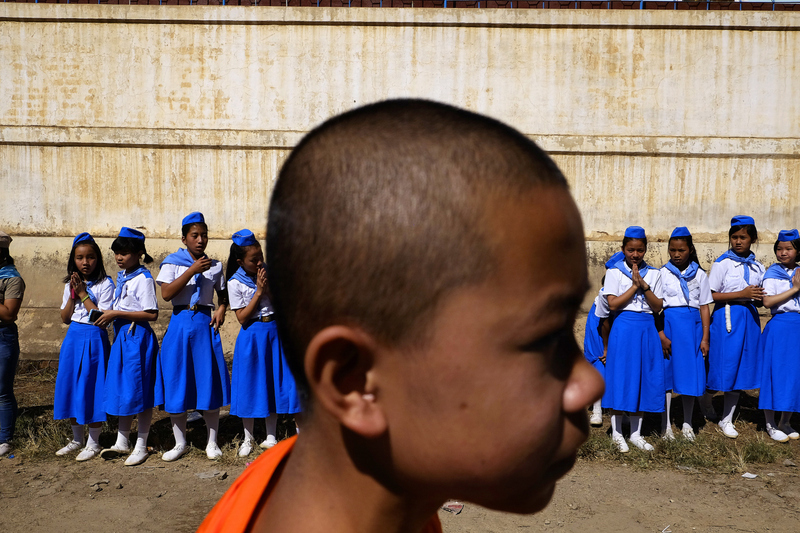 A novice monk passes by a youth group. Fireman keep watch during the mass meditation. 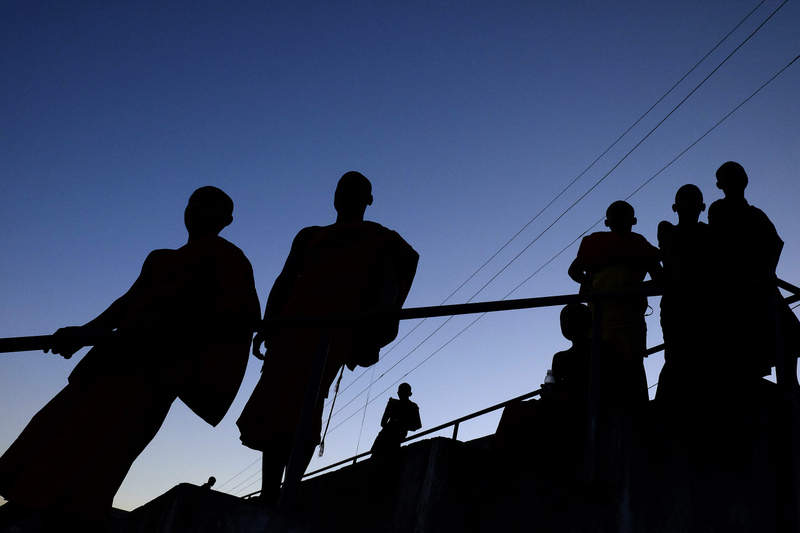 More than 3000 monks line the streets for the mass cross-border meditation. Chairs are delivered before the event starts. Russia's Buddhist RepublicThe Rupshu PastoralistsNarrow Road to the North: Religious Sites in TōhokuTibet in SichuanThe Rise of Buddhist Feminism?